The worldof cryptocurrency market is experiencing a major downturn. The price of Bitcoin has fallen to less than 100 million JPY and Ethereum’s has drop to record low of around 20,000 JPY. However, rumor has it that cryptocurrency market is becoming more vigorous and investment amount has been increasing even more. One such group that is spearheading the push for cryptocurrencies is KINGS, which operates as a virtual currency for the purpose of bringing cryptos into the mainstream. We asked Keiko Koguma, who oversees the KINGS GROUP Resort Development division about the business and future strategy around the Token. Ms. Koguma now lives in Dubai, after having worked at Resort Trust Inc., a resort membership sales company listed on the Tokyo Stock Exchange. She has deep knowledge on global resorts and the upper-class market. “However, a token is just one potential method of payment, so what is more important is the quality of the resort itself, its rarity, and added value to it. With the current cryptocurrency trend, people forget that it is a tool and make investments without fully understanding the service and what it actually is. I think the system is going to collapse when all the hype dies down. Transaction speed is the metric at which cryptocurrency is processed. For example, with Bitcoin, only 7 transactions could be processed in 1 second, so it would take at least 10 minutes for the whole entire process. When you pay with a credit card, it would never take that long, would it? This is actually one of the reasons why cryptocurrency cannot be used for payment in the real world. But our tokens will have a faster transaction speed using Ethereum and off-chain technology, building a blockchain fast enough to be comparable to the VISA network used with credit cards. As a result, KINGS can maintain stable transaction speed and avoid crossed wires. With Bitcoin only 7 transactions could be processed in 1 second, but with KING it has been proven that 5,000 transactions could be made in 1 second or less, comparable to that of the VISA network. When there is no internet connection, such as on airplanes and boats, this state is referred to as being “offline”, but what’s the point if you cannot make payments in that environment? KINGS is aiming to go completely cashless and is designing a system that could work in offline environments by matching Plasma’s step off-chain technology and IC technology to build a structure in which settlements could be made on and offline. This KINGS IC Card will make API connectivity possible with hard wallets, IC Cards, and POS/existing registers. KINGS spoke to Ms. Koguma about API connectivity with hard wallets, IC Cards, and POS/existing registers. “First let’s talk about hard wallets—they are officially called hardware wallets, and they are the “wallets” used to safely store cryptocurrency offline. 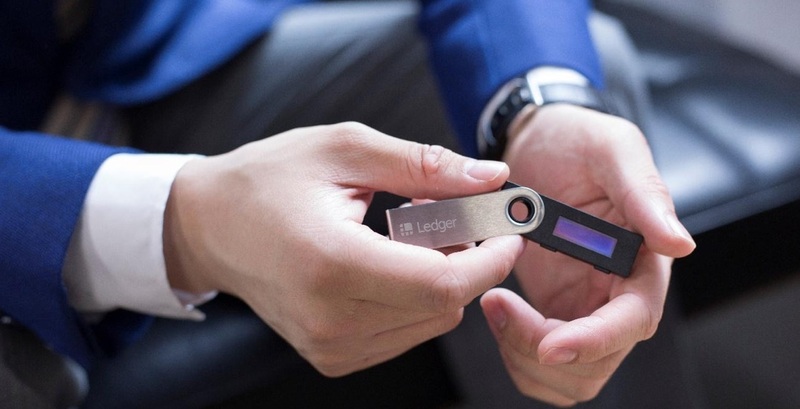 With the recent outflow incident with Coincheck, everyone rushed to buy one, with the hard wallet called Ledger Nano S being especially popular,” noted Ms. Koguma. 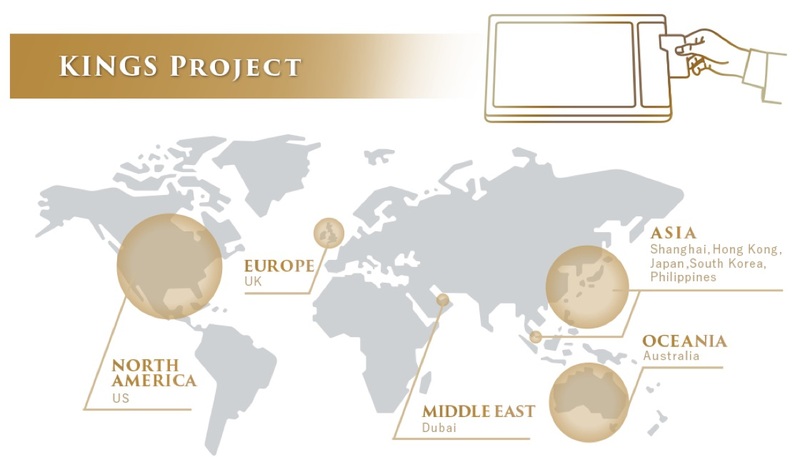 The KINGS Project aims to not only create the KINGS IC Card but also be the first to globally introduce a settlement terminal that accepts KINGS, through a strategic partnership with TiENPAY (Hong Kong). The group is also in discussions to partner with China’s largest settlement terminal company, and through these partnerships KINGS aims to secure the means to make use of the KINGS IC Card from multiple angles. 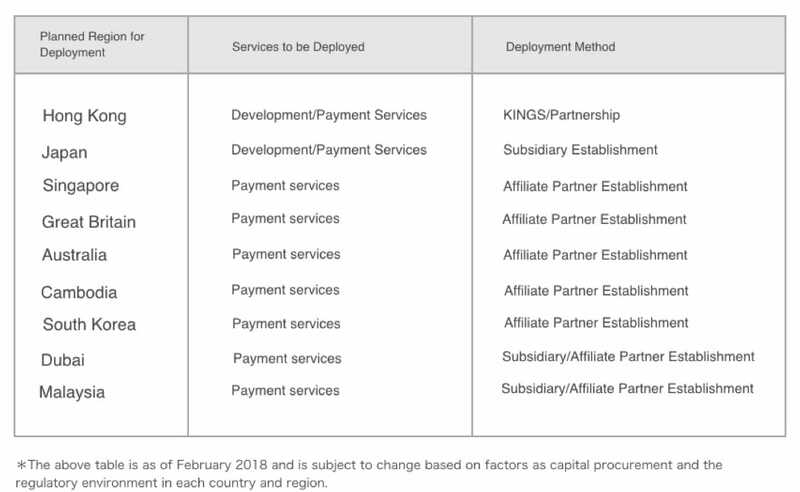 Further, KINGS plans to add to the settlement terminal an IC Card settlement function and build an ecosystem that allows payment in any environment in the world, including offline settings. One of the factors that prevents the use of cryptocurrency as a means of payment in the real world is “volatility risk”. Volatility signifies the change in profit. For example, let’s say that you sell an apple at 300 KING each at 9am when the store opened based on the value of 1 yen being 1 KING at the time. Then you see that the value of 1 KING at the time of closing at 6pm is 0.5 yen. In this case, you’ve actually sold the apple at 150 yen, resulting in a loss of 150 yen. (If 1 KING had a value of 1.2 yen at the time of closing, you would make profit of 60 yen). This is what we refer to as volatility risk. To reduce volatility risk, KINGS will provide a platform where open sourced peg coins could be produced. With this, companies could make cryptocurrency and tokens that are volatility-risk-free free of charge. KINGS call this project “KINGS-PEG” and will work to build a system towards a cashless world, with merits for both companies and users. Given a litany of technological problems, it will be even more convenient with further progress on existing IC Cards and credit cards, however legal issues will also have an implication on this. “KING” token to finally be listed in October of 2018! In February 2018, KINGS began selling acquisition share options for the KING token, and in parallel have been developing the KING token at a base of ERC20. The project is expected to be listed in October. Because the cryptocurrency environment is constantly changing, with regulations and customary laws in each country growing stricter, KINGS may face some delays in the schedule, but we are steadily moving forward. KINGS will be announcing future prospects on its website and through Telegram. You can find our latest information on the below Telegram. It is a discussion group on KINGS.